I admit that it’s hard for me to leave the house without any makeup on. However, there are days when I may sleep in a little longer, leaving limited time to apply my makeup. I’m sure you have experienced that scenario as well and I’m here to tell you that you can still leave the house looking refreshed and put together. I like to call this my 5-minute makeup routine. Base: If you use foundation, you can cut down the amount of time by applying foundation only where you need it. This may include your chin, the sides of your nose, and around your eyes, all areas that can be prone to redness or dark shadows. Dab it on using your ring finger. Cheeks: Blush is the quickest way to look luminous and glowing. Whether that is a powder, cream or gel, make sure you use a blush brush and apply to the apple of your cheeks (the roundest part when you smile), sweeping in an upward motion towards your hairline. Lashes: If there is only one product to apply on the eyes, I would recommend black mascara. Mascara really opens up your eyes and makes them “pop”. Sweep on one coat from root to tip. Another tip, make sure you don’t pump the wand as doing so lets air into the tube, which can cause bacterial growth. Lips: Don’t forget to finish your look with a sheer lipstick or gloss on the lips. Lipstick is the last step to pull together an entire beauty look. A sheer lipstick or gloss is quicker to apply than a bolder color of lipstick and lip liner. That's all there is to it! This strategy is quick and simple and leaves you looking ready to start your day. What is your quick makeup morning routine? 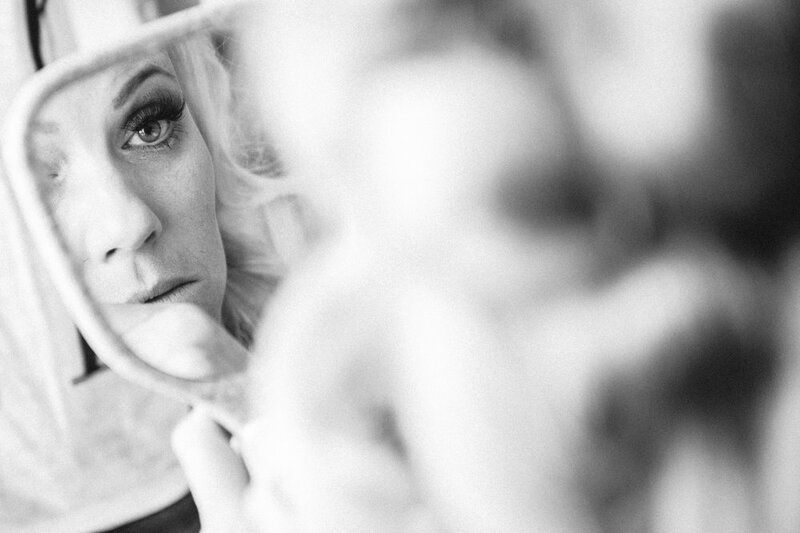 Looking forward to your special wedding day, but nervous about your makeup? Have no fear, here are my top ten tips to keep you and your makeup looking fresh and ready for the dance floor. 1. Do your eyes first! It sounds odd, as most of you are use to applying foundation first. However, when you do your eyes first, it allows you remove the excess eye shadow easier if it falls under your eyes. When an eye makeup brush is overloaded with eye shadow, you can end up with what is known as ‘fall out’, where pigments of eye shadow fall under the eyes. As you know, most cosmetic products come with some sort of SPF. That is definitely a good thing, however a foundation with sunscreen isn’t recommended to wear on your big day. The reason for that is because those foundations with SPF have an ingredient in them called Titanium Dioxide. This ingredient will react to the flash of the camera and make your face look pale. Just as you would prime a wall before you paint it, you should prime your face before applying foundation. 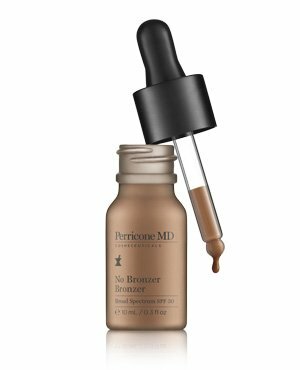 A primer will guarantee that your foundation lasts all day and night. Make sure you apply your concealer after you’ve applied the foundation so that your concealer can really brighten those darker spots and even out any blotchiness. Ladies make sure to use waterproof mascara on your wedding day! Just incase any tears (of joy) come up you do not want the dreadful running mascara! Another tip, waterproof mascara can tend to dry out faster than other mascaras and I recommend using a fresh, new tube of mascara on your wedding day. Apply a set of false lashes. If there is any day to do this, it is your wedding day! You can apply either a set or individual lashes. They will open your eyes up and make them pop even more. Apply a matt bronzer under your cheekbones, onto your temples, the sides of your nose and under your chin. Make sure to blend extra well for a natural, contoured look. Make sure your brows are incredibly in shape on your wedding day. Fill in the empty spots with an eyebrow powder to create a full brow. Don’t forget to highlight underneath your brow for an amazing arch. 9. Make your lips last all night long! To ensure your lipsticks last all day, I recommend lining your entire lips with a lip pencil. Lining your lips will help give your lipstick something to adhere to. I also suggest using a longwearing lipstick. However, keep in mind that most longwearing lipsticks are drying. So, start prepping your lips with moisturizer ahead of time. After your look is completed, apply a big brush and lightly dust on the areas where makeup tends to disappear (nose, chin, and the center of the forehead). This will allow everything to stay in place and will keep you from looking greasy or shiny in photos. Let me know what you think of these tips, and let me know if you have any additional ones as well!